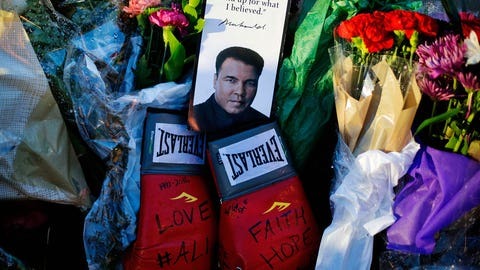 The world mourned Muhammad Ali this weekend following his death Friday night at age 74. Here are 10 images that capture the reaction. 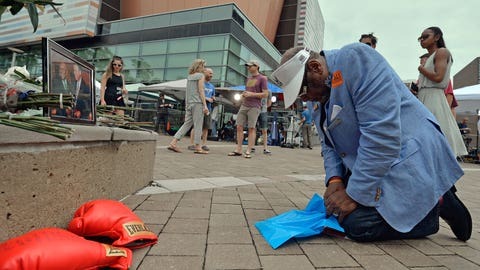 Frank Green of Louisville kneels in prayer before a memorial at the Muhammad Ali Center in the champ's hometown. 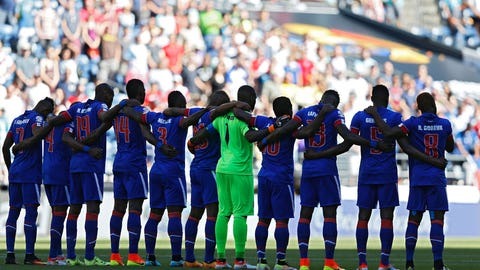 The Haitian national men's soccer team observes a moment of silence before their match at the Copa America Centenario. 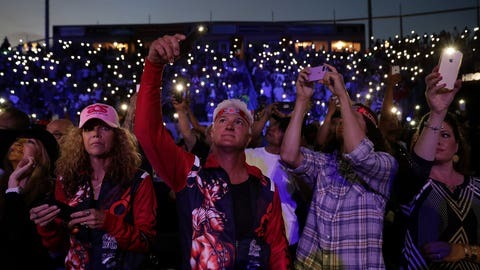 Fans at the boxing match between Orlando Salido and Francisco Vargas hold up cell phones in tribute to the champ. 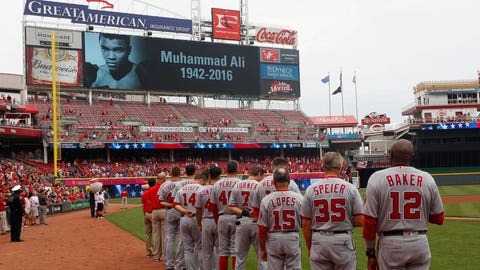 Manager Dusty Baker and the Washington Nationals doff their caps and observe a moment of silence before their game Saturday. 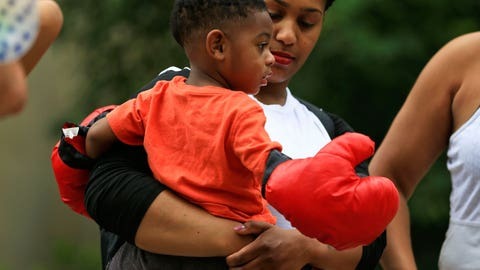 Mikah Tutt is held by his mother Jamie Daniels at City Hall. 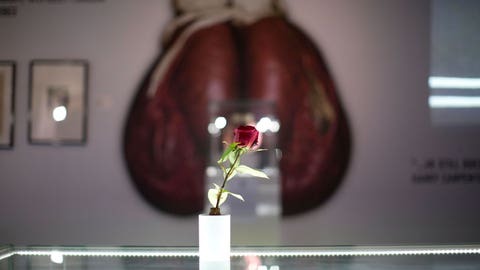 A single rose adorns a Muhammad Ali exhibition at the O2 arena. 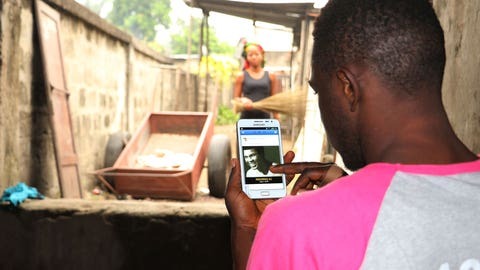 A young man in Kinshasa, the capital of the Democratic Republic of the Congo, reads about Muhammad Ali on his phone. Ali fought there in 1974, beating George Foreman in "The Rumble in the Jungle." 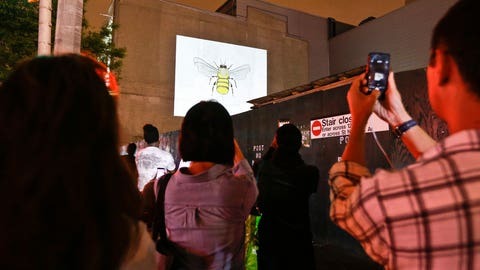 People take pictures of a projection honoring Muhammad Ali in the streets. 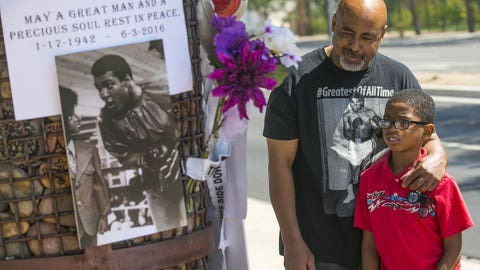 Lynn Boyd Jr. and his son Jayden visit a memorial outside the Scottsdale Osborn Medical Center, where Muhammad Ali died Friday night. 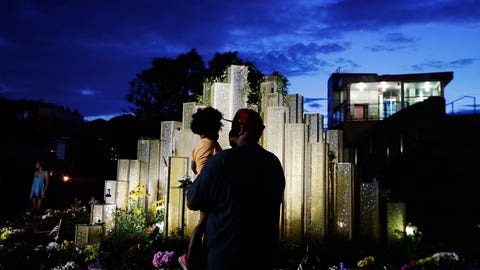 Andrew Hale of Louisville explains who the champ was to his 3-year-old daughter Chloe while they visit the memorial at the Muhammad Ali Center. "He was strong, courageous, and I hope I can be like that one day and just show love to my daughter like he showed his. That's what I was explaining to her," Hale told The Associated Press. "She asked me where he is, and I said he was in heaven."